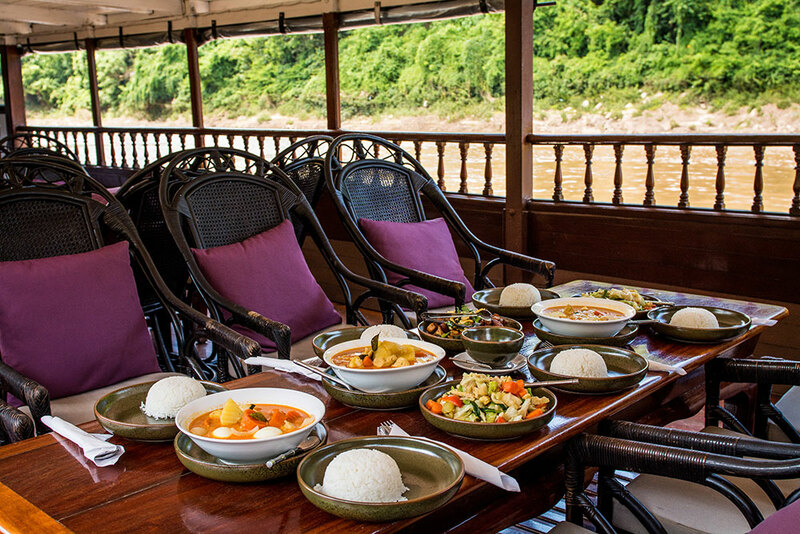 Breakfast is served at the terrace overlooking the Mekong River. Fill your energy with a buffet spread of western-style and local morning delights, fresh fruits and tea or coffee before leaving at 08h00. 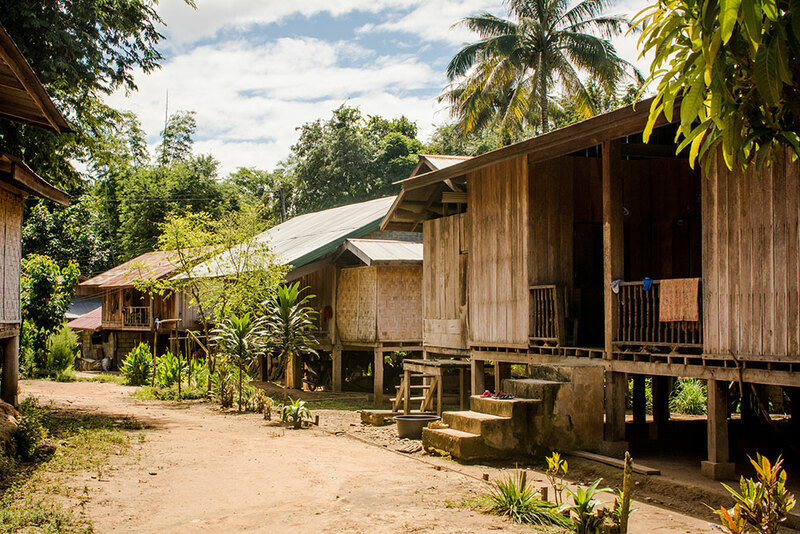 The cruise departs for another day of nature discovery along the legendary river with two stops planned along the way to Luang Prabang. 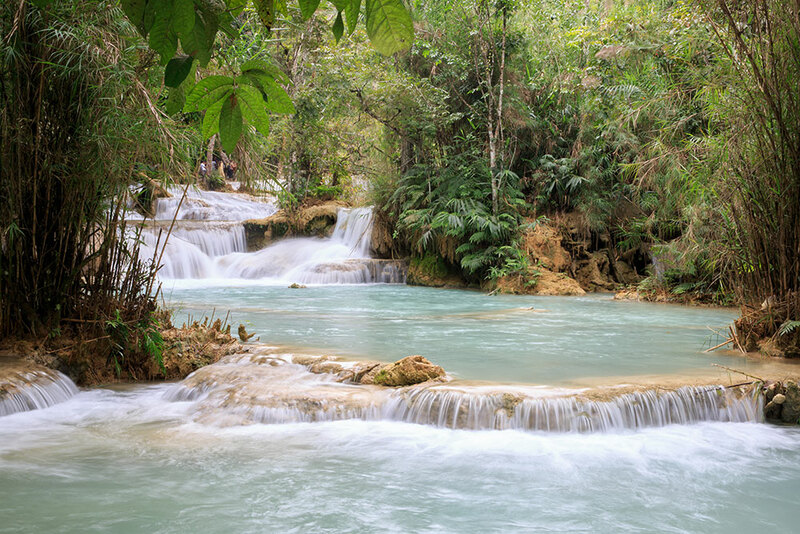 Following a day along the wide Mekong river, with beautiful sceneries of mountains, wild nature, local life and delicious food, the cruise arrives at Luang Prabang, the former royal capital of Laos. Our staff will be waiting for you at the pier, holding the welcome sign, and drive you to Maison Dalabua. 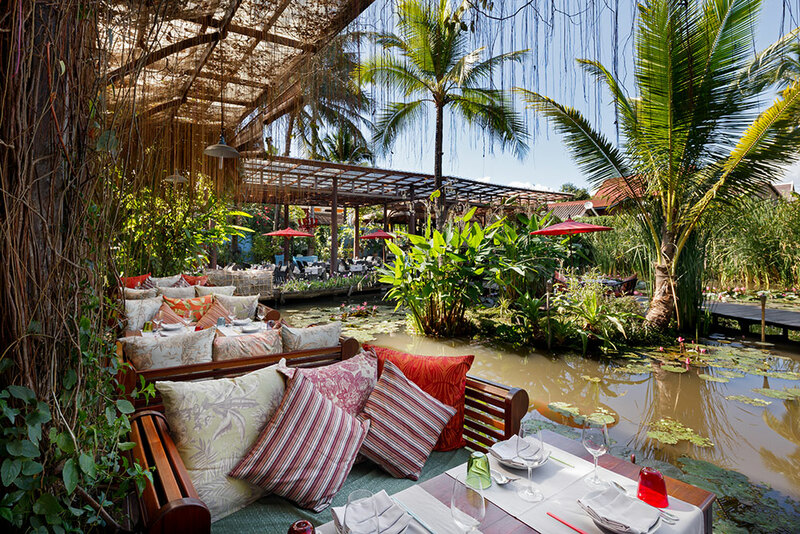 Dinner under the stars surrounded by a UNESCO classified lily pond, immerse in a tropical ambiance. 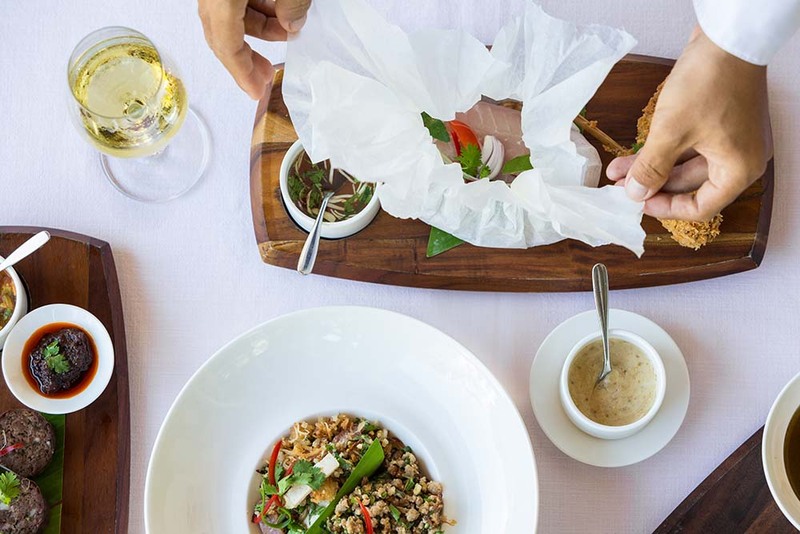 Enjoy Laotian Family Cuisine specialty from all regions of Laos. 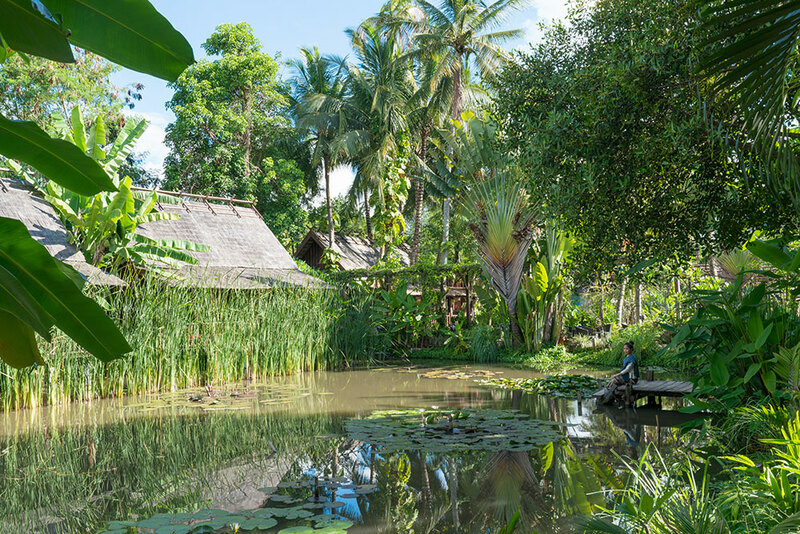 A buffet breakfast is served at Maison Dalabua surrounded by a UNESCO classified lotus pond, and the lush greenery offers a refreshing touch of nature. 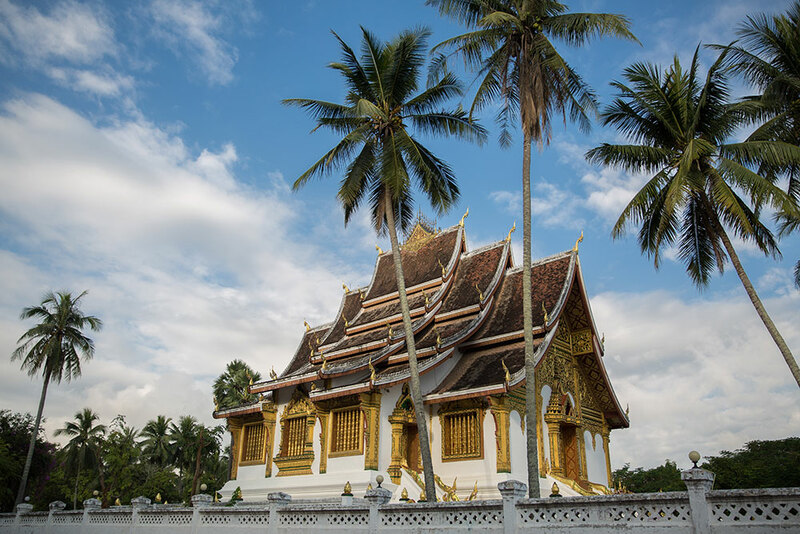 Discover the UNESCO Heritage city of Luang Prabang, Visit Temples, Royal palace or visit Kuang Si a giant waterfall that flows through limestone-rich jungle. In the afternoon climb the Phou Si mountain. This visit is specially recommended at sunset, when you can enjoy a viewpoint from high above Luang Prabang. Dinner is at Leisure, you may explore the city dining venues of your choice. 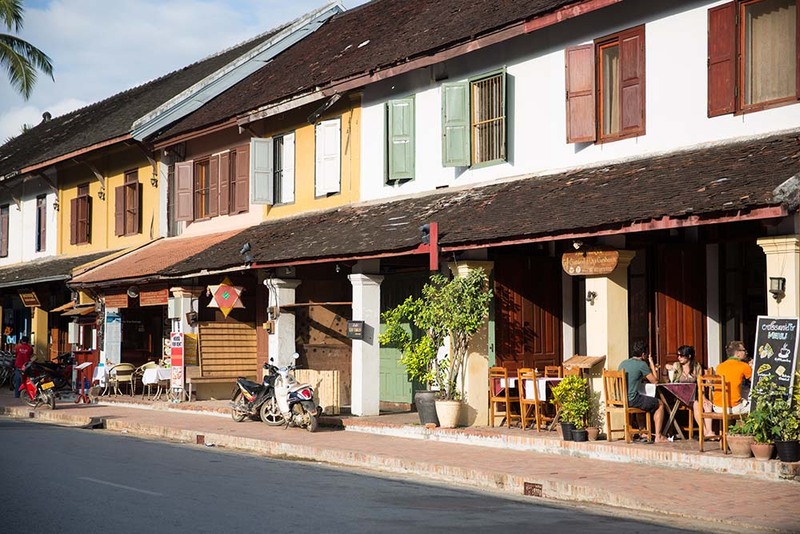 Luang Prabang has developed a good selection of Lao and French restaurants, Thai, Chinese and Vietnamese place thrown in. Alms giving takes place daily as the sun rises, beginning on the main street of Luang Prabang before spreading out to all the side streets. 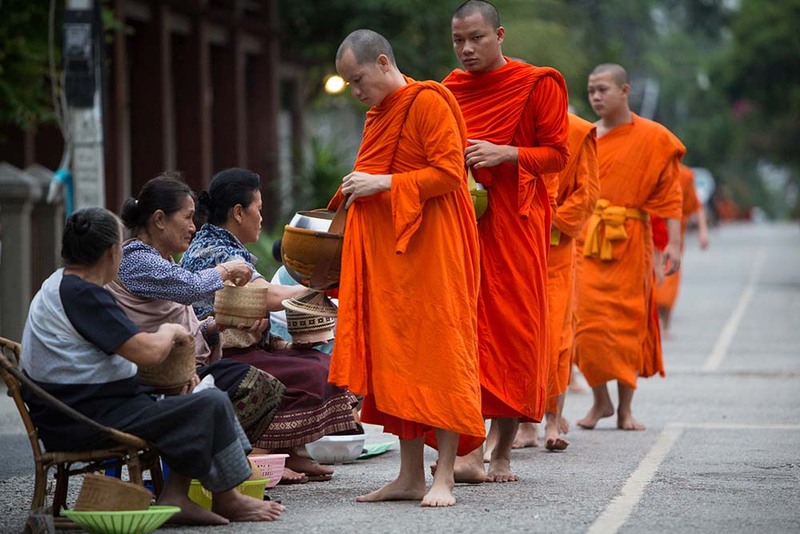 The idea of the alms giving is for the Buddhist monks to make merit and to collect food for their one meal of a day. A buffet breakfast is served at Maison Dalabua. For this last morning before the check out, you can enjoy a sunbath by the pool, experiment a relaxing massage at our Spa or ride our bikes at leisure and take the time to really get to know this UNESCO World Heritage site. All journeys must come to an end, so it’s time to prepare to depart to your next destination. 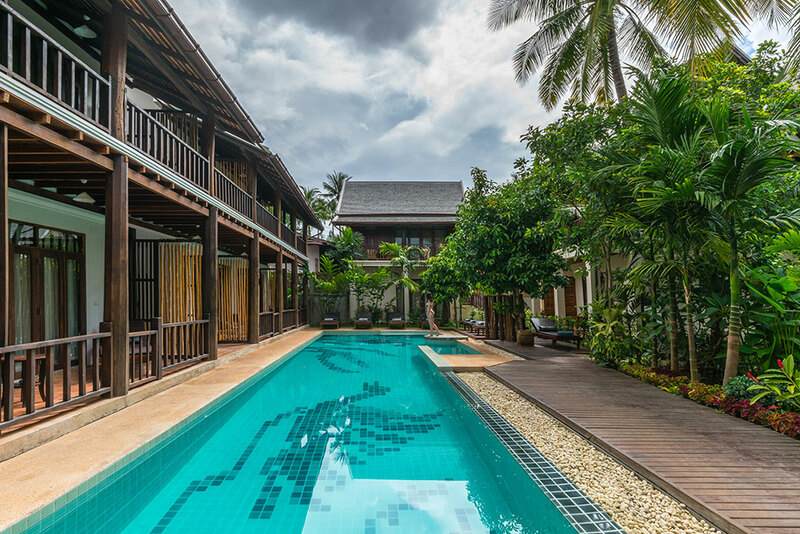 Check out & transfer to the Airport or another hotel in Luang Prabang. The Luang Say Cruise departs from Huay Xai every Monday, Thursday, Friday. 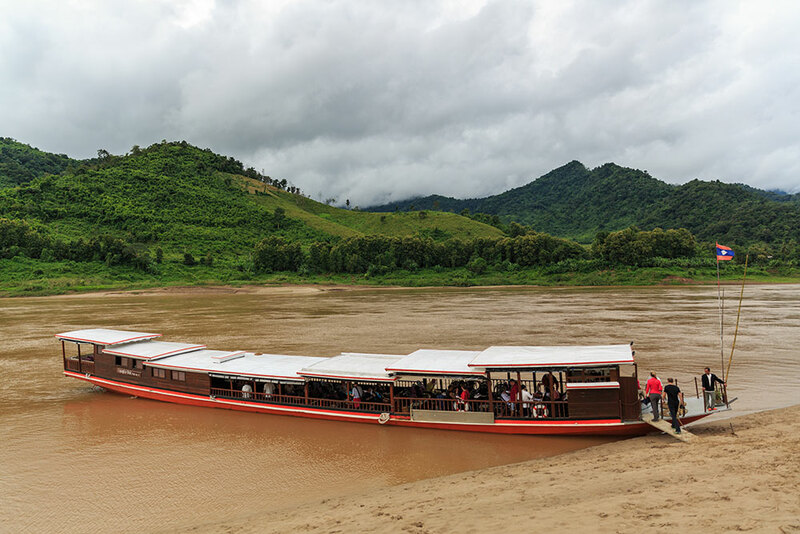 The Luang Say Cruise departs from Huay Xai every Monday and Friday. * No cruises operation in June. – Two days cruises with stop and visits en route. 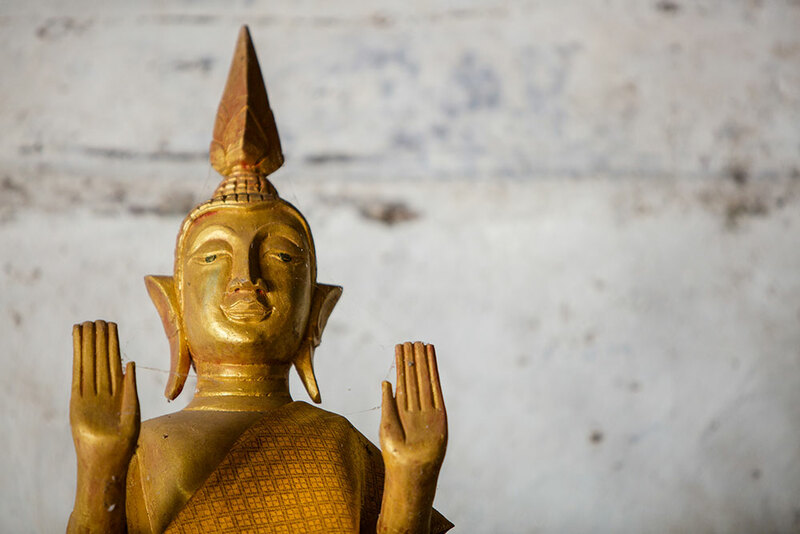 – All meal in Luang Say lodge and cruise as mentioned. – Coffee, tea & drinking water on boat during meal.